Developing new sources of reliable revenue is a top priority for any business. 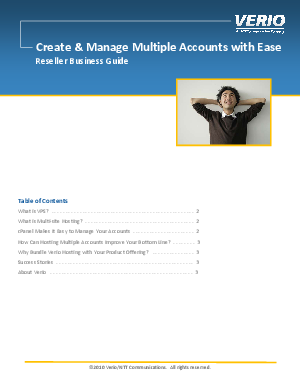 Download this guide for videos and demonstrations that show how to add value for customers and increase revenue with multi-site hosting. Discover how simple to implement multi-site hosting is with the point and click functionality of a cPanel VPS. Learn how to become a one-stop shop for customers by offering the perfect complement to website design, custom application development and other IT services.